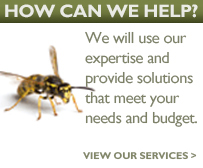 Northumbria Pest Control provide a full service solution in the control and eradication of rodents, birds and insects backed by years of experience. Northumbria Pest Control offer a full Bed Bug Eradication service which is both discrete and 100% effective. Ideal for individuals and guest houses, hotels, etc.